It's here! The Bitty Berries Coin Purse has been well received. It's so cute, and little, and useful. I just love it! Using a smaller hook size has really given us a tightly worked textile that ensures no spare change can slip through the cracks! 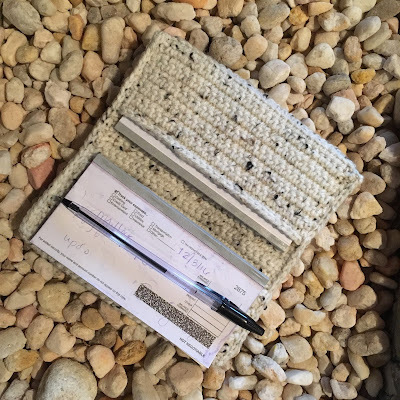 Once I completed it, I knew I needed to make a checkbook cover in the same adorable pattern. 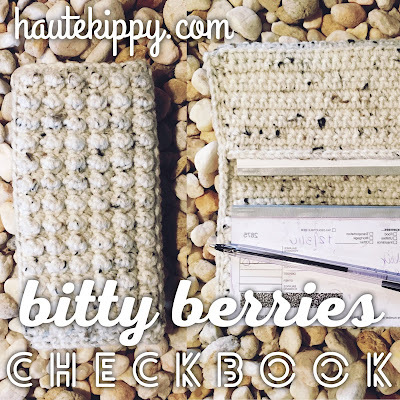 If you are excited for the next installment in this adorable accessory design, then your wait is over because the Bitty Berries Checkbook cover free crochet pattern has arrived! If you're still on a coin purse kick, and I don't blame you! (I could honestly make a dozen more!) There are several adorable designs to choose from on the best free pattern compilation website around, allfreecrochet.com. 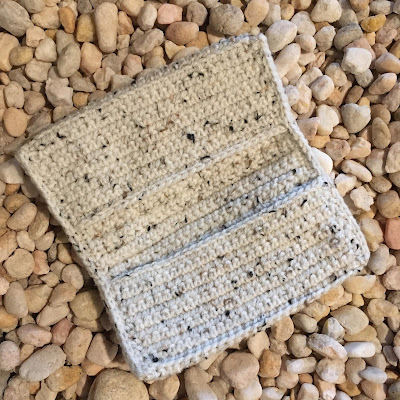 There you can find just about anything you desire to make, in a free pattern version! 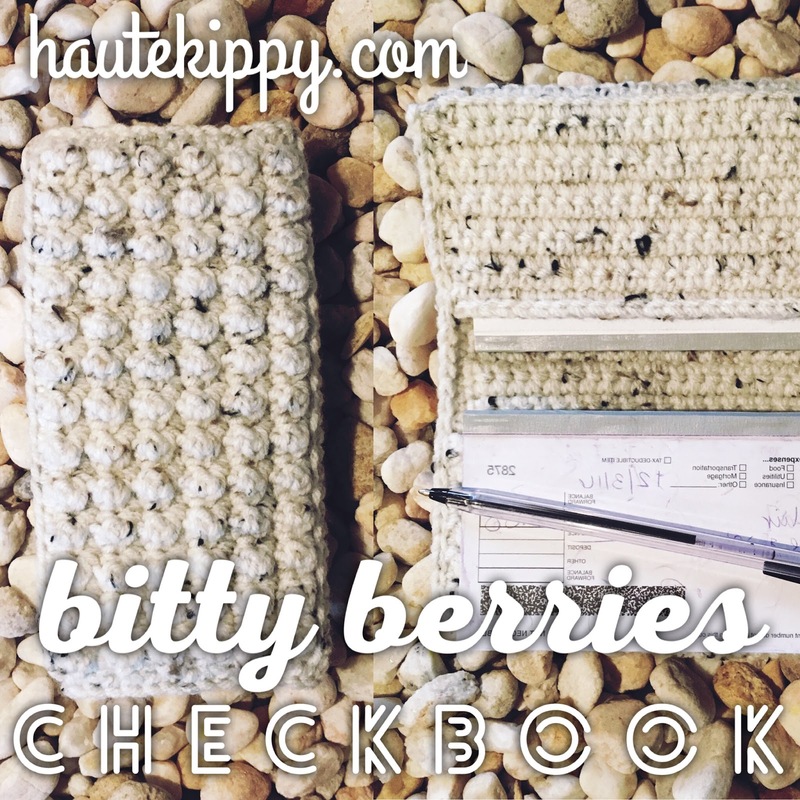 Using the same berry stitch repeat, we'll create a soft and fluffy, fun texture for our checkbook. 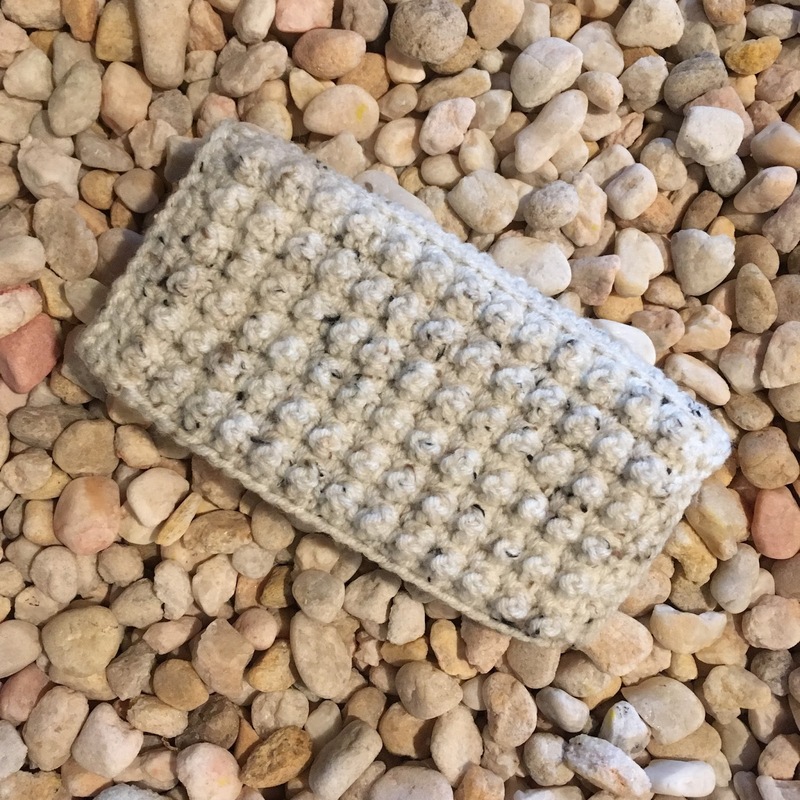 Single crochets in the back or front loop only, help create ribbed lines, delineating where the the checkbook should fold into it's different sections. Work in the same yarn as your coin purse, and make yourself or someone you love a matching set! I am enjoying working in the berry stitch, and I think I might keep the momentum going. I really feel moved to make an entire Bitty Berries accessory line! The only question is, what accessory will be next? You tell me! Leave a comment below the pattern to make a suggestion or tell me which must have item in your bag needs an infusion of Bitty Berries! Let's see if great minds do indeed "think alike", are your ideas the same as mine!? We'll see! Yarn: Hobby Lobby Crafter's Secret in Pearl Fleck (pictured) or any worsted. Note: Check Book is worked in one piece from bottom to top, the bottom is folded up to become the back flap of the book and the top is folded down to become the front flap. The book is first edged, then folded and side seams slip stitched shut. Turning ch does not count as a st.
Row 12: sc into the Flo of each st across, ch 1, turn. Row 13: sc into the Blo of each st across, ch 1, turn. Row 27: sc in Flo of each st across, ch 1, turn. Rows 28 & 29: sc in each st across, ch 1, turn. Row 30: sc in Blo of each st across, ch 1, turn. Row 43: sc in Flo of each st across, ch 1, turn. Row 44: sc in Blo of each st across, ch 1, turn. Rows 45-55: sc in each st across, do not break yarn. Ch 1, Pivot work to crochet along raw edge. Keep right side facing. Sc evenly along the first raw edge of book, making 1 sc in the edge of each row up to foundation row. Ch 1, pivot work, sl st in each st along RS of foundation row. Ch1, pivot work, sc evenly along the second raw edge of book, making 1 sc in the edge of each row up to ending row. Ch 1, pivot work, sl st into first st of ending row. Fo, weave in ends. Using rib lines made by stitching in Flo and Blo as a guide, fold bottom and top edges (above and below berries) onto the WS of checkbook, align stitches. With WR of book facing, join yarn at corner, sl st through both layers to secure the flap closed on that side, sl st in each st across along the side towards the other flap and through both layers again, across to other corner. Break yarn and repeat for other side. FO, Weave in all ends. Matching coin purse also available! Show me your work! Post a picture of your creation on my Facebook page! Connect with me on Ravelry, Pinterest and Instagram!